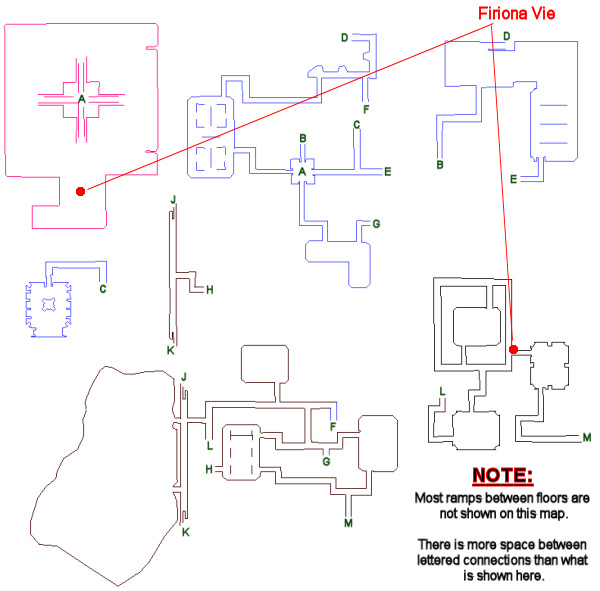 This solo task begins with Firiona Vie (click for map image) in Arx Mentis, located at the zone-in. Firiona Vie clenches her jaw. 'I had forgotten how it feels to see those you love [injured] and ripped away from you -- the crashing waves of helplessness, sorrow, and rage. And to know the current upon which they are [carried]... I would sail after them to the ends of Norrath... to where the stars meet the sea.' Firiona gazes at the citadel. Firiona Vie says, 'He did all he could... he struck out with his staff and what magic he could recall. As he was beset on all sides, the enemy carried our friends away... Ognit lit his staff aflame and kept swinging. Still more attacked. There was no one left to defend. He said the words, and fire burst around him, consuming his attackers and blazing through the hull. It [burned], as now we do...' Firiona makes a fist. You have been assigned the task 'Free Us From Ourselves'. 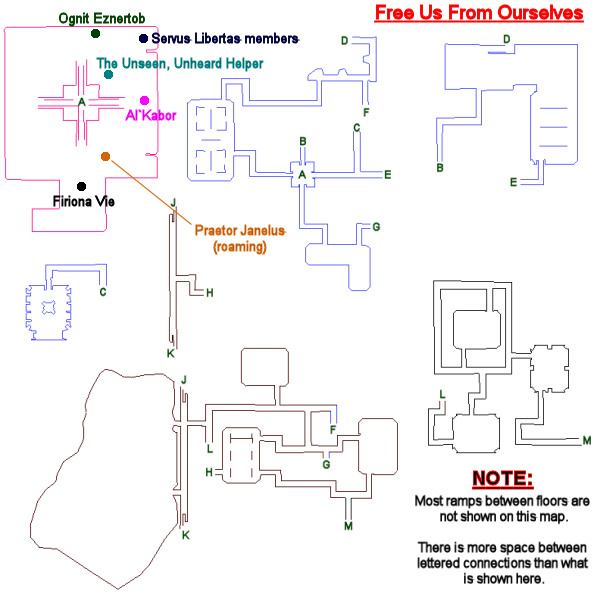 Lanys has captured many of Firiona's friends, and Firiona has asked you to talk with Al'Kabor, Ognit, and the locals in order to find out more about the Citadel and where Lanys might have taken Firiona's friends. Ognit Eznertob shakes his head. 'We are not the only ones to lose our loved ones to the citadel. I spoke with a woman who said her brother once worked as a mechanic within the citadel, repairing contraptions that route magical energy. Though he used to visit the lower city often, she has not seen him in almost a year. This story is similar to ones we have heard from many people. a Servus Libertas member says 'Then prove it to us. Praetor Janelus watches us, trying to discover our identities, trying to dismantle the Servus Libertas. We would prefer that he were the one to be dismantled. The Servus Libertas surely has a place for those who share in our wishes. Praetor Janelus circles the zone-in area. He hits for a max ~20,000 (no rampage; no flurry). Every 25 seconds, he casts "Deft Slash" (frontal AE for 57,000 dmg). Praetor Janelus has been slain by _____! Movement catches your eye: a tall, cloaked figure waving at you near the central pyramid. The Unseen, Unheard Helper barely acknowledges your presence. He does not speak; he merely turns toward you. Dark folds of cloth recede into his hood, and you cannot see his face. You can smell him, as though he has not bathed in weeks: blood, smoke, and sweat. The Unseen, Unheard Helper hands you a package. Simple task... basically they stripped the "kill 37 trash mobs" out of the standard formula for earlier progression missions, leaving only "hail 323 times, then kill a not-so-boss boss mob." They made it stupid easy also by having the boss wander to the zone-in well out of range of trash adds. I think this is a setup for the NEXT mission, which doesn't sound easy at all!